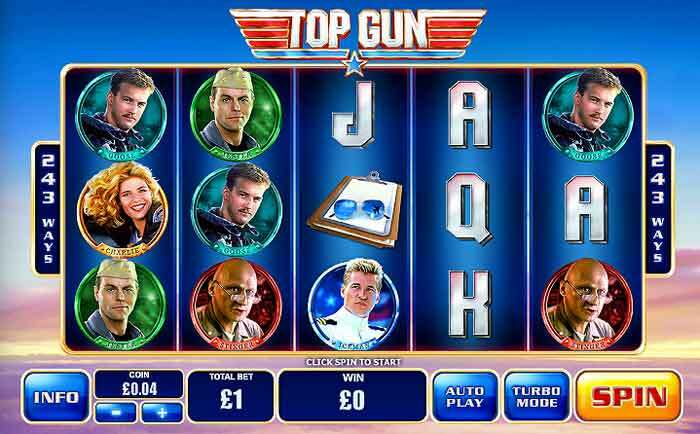 Playtech were always at the forefront of online video slots development, with new software houses like NetEnt and BetSoft they have been given a run for their money but they still deliver top quality online video slots like this fine example. Jekyll and Hyde follows the famous story of the doctor with a split psychotic personality. 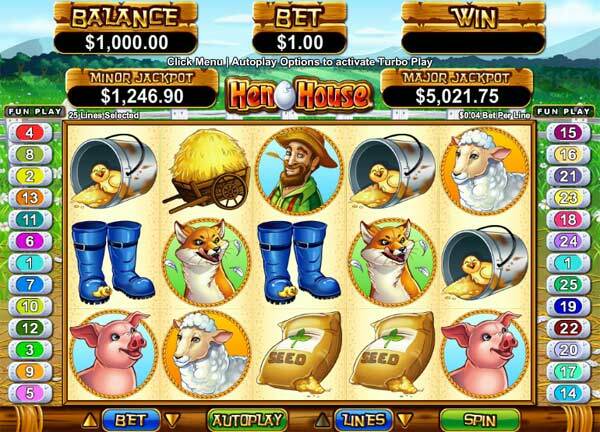 The game has 25 paylines with some interesting bonus features that add something a little different. During normal gameplay you get the usual WILD and SCATTER symbols but these come with an option. Jekyll and Hyde scatter bonus symbol is the potion bottle and can appear on any reel. 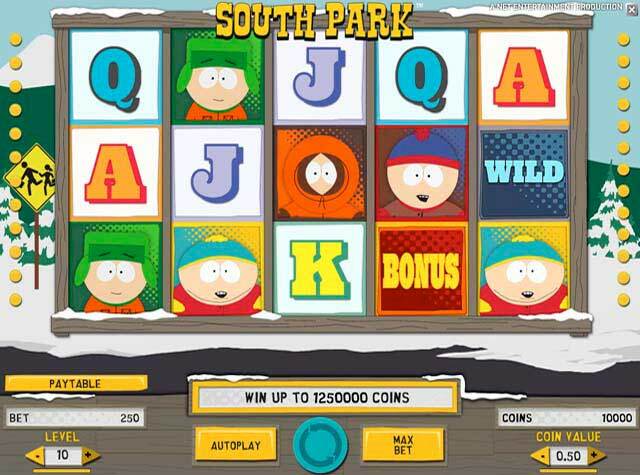 You need three or more scatters to get the free spins bonus. 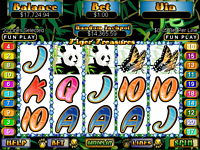 You have the option to extend this feature to include SCATTER bonus symbols that appear just above or below the reels three reels. 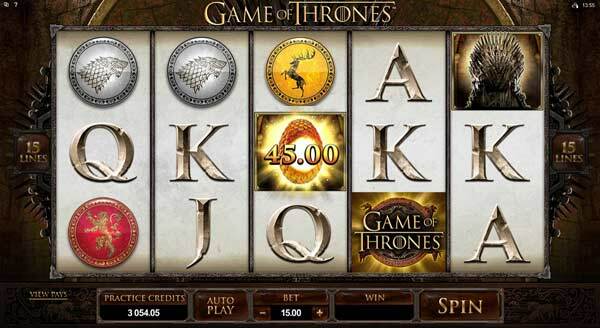 This increases the chances of the bonus game but will double your stake on each spin. As you spin the reels you will also notice the Dr Jekyll symbol is wild. This symbol appears on reels 2, 3 and 4. The symbol will expand to cover the whole reel if a win is possible. 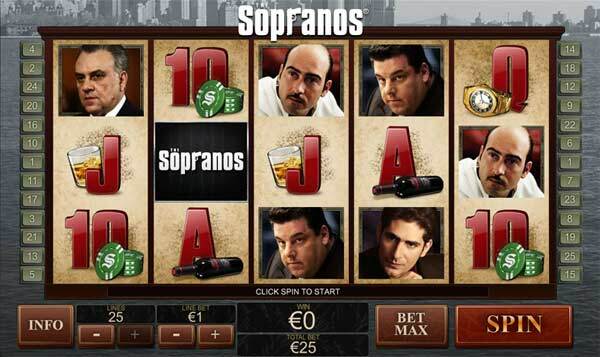 When you spin 3 scatters on reels 2, 3 and 4 you will get FREE SPINS BONUS. 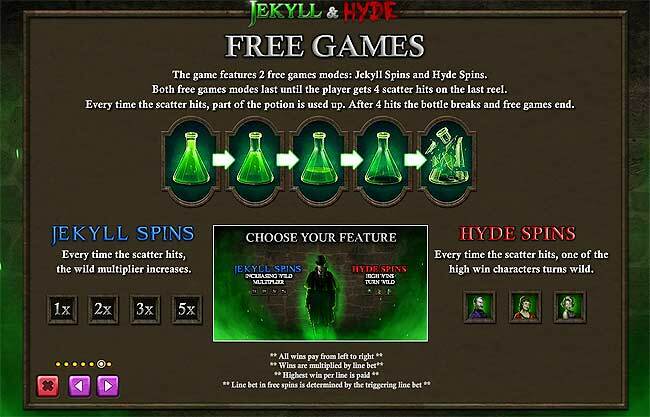 You get the choice of Jekyll Spins or Hyde Spins. There is a slight difference with each type. 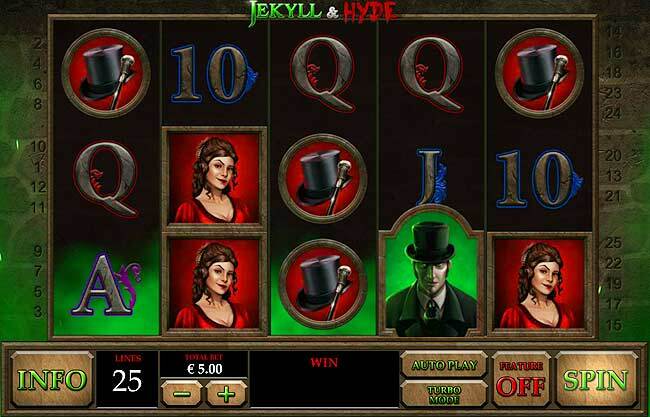 With Jekyll Spins you benefit from an increasing multiplier, with Hyde Spins you benefit from increased wild symbols. 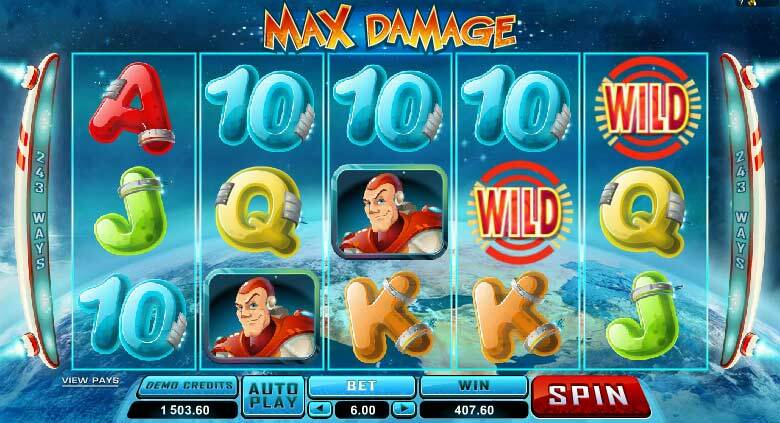 Each time the potion scatter symbols lands on reel 5 during the free spins you will receive the increase in multiplier or the extra wild symbol. Each time the postion appears a little of the potion will be used. Keep having FREE SPINS until all the potion is used after the fourth potion appearance. 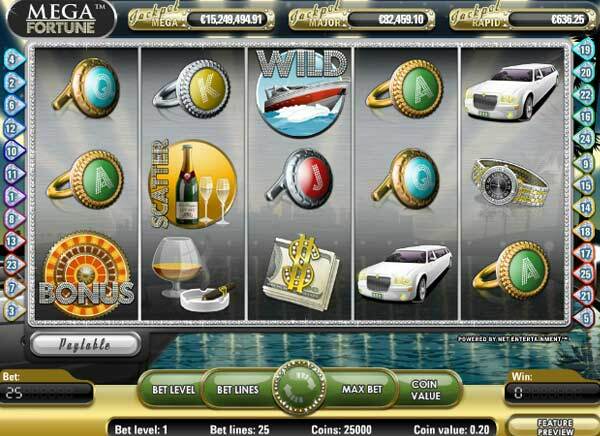 This means that the bonus free spins can go on indefinitly and for this reason I think it is better to choose the Jekyll FREE SPINS and get to 5x multiplier and then hope that the POTION SCATTER does not appear again.